Six world powers demanded Iran keep its promise to let international inspectors visit a military installation where the U.N. nuclear watchdog believes explosives tests geared to developing atomic bombs may have taken place. The word “Parchin” is not mentioned at all in the actual published deal. 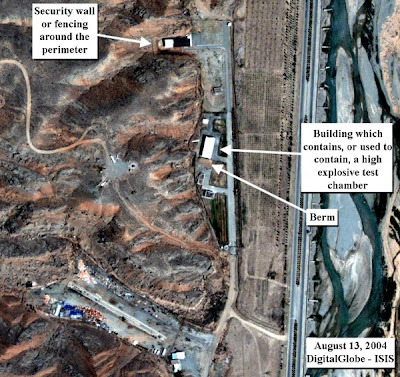 As bad as we already know the deal to be, it is astonishing that the US-led alliance did not consider inspections at Parchin to be of paramount importance. Remember, Parchin is where evidence of a weaponization program was clearly being actively hidden by Iran, even to the point that they built large pink tarps to cover the complex to stymie satellite intel.